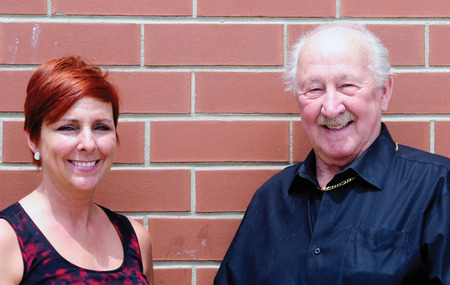 Program Manager Deanne MacIntosh and Alfred Kunz, who will be directing a choir for the Forest Heights Community Association. Choir director Alfred Kunz’s retirement didn’t last long. The well-known director and composer announced his retirement after over 60 years of conducting in May, and by June he had new job. Kunz will lead a mixed adult community choir being organized by the Forest Heights Community Association this fall. The Forest Heights Association Choir is the brainchild of FHCA Program Manager Deanne MacIntosh. MacIntosh was hired to work part-time by the community association last February. One of her jobs has been to give a “facelift” to the association’s programming. “This past spring, the FHCA started a new Music History Program with Michel Allard,” MacIntosh said. MacIntosh is a choral singer herself and knew that Kunz was retiring. She asked Kunz if he would like to continue to conduct a smaller, community choir. “We are thrilled that Alfred has agreed to be our Artistic Director/Conductor,” MacIntosh said. She agreed that the goal of the Forest Heights Association Choir is to keep things simple - just to concentrate on the joy of singing. “We know that no other choir exists in the neighbourhood associations, and I am proud to start this group. We will welcome all voices. The response has been overwhelming from the community. We will hold our first performance during the holiday season at the Forest Heights Community Centre,” MacIntosh said. FHCA president Jerry Corriveau said MacIntosh is the first paid program director ever hired by the association. “We are fortunate we were able to recruit Alfred, mainly through Deanne’s efforts,” Corriveau said. MacIntosh thinks the choir will be a “great addition” to the ongoing programming provided by the FHCA. The Forest Heights Association choir will rehearse at the Westheights Community Church on Tuesday nights from 7:30-9pm starting in September.